40 per cent of respondents stated that they would like to tick the iconic landmark off their bucket list, a fair way ahead of the 33 per cent that suggested they would like to visit the Grand Canyon in the USA. The 5,500-mile stretch of wall, which reaches across the north of the country, proved to be the most popular and it’s not hard to see why due to its fascinating heritage and impressive setting. As the world’s longest wall and biggest ancient architecture, it’s no surprise that it attracts 10 million visitors a year, including those on escorted Great Wall of China tours. Boasting a wealth of history since its construction in 7th century BC, the wall’s original purpose was to defend the Chinese Empire from Mongolian and Manchu enemies, but has now become a popular tourist attraction. The most visited sections of the wall include Badaling, Jinshanling, Jiayu Pass and Shanhai Pass, and take in spectacular and diverse scenery such as the beaches of Qinhuangdao, mountains of Beijing and deserts surrounding the Jiayu Pass. One of the most famous sections is called Gubeikou, which is where bullet holes from the last battle fought at the wall can be seen. A recent C4 programme also revealed the surprise ingredient that has kept it standing for so long. The nation’s bucket list produced following the survey showed that Britons are in fact very adventurous, with a number of the dream destinations suggesting the need for walking boots or involving various activities. Other bucket list options including walking the length of the River Nile, trekking the famous Inca Trail, climbing Mount Everest and diving with great white sharks. Those wanting to cross the Great Wall of China off their bucket list can do so on escorted tours of China with Wendy Wu Tours, alongside a number of other incredible excursions included in their itineraries. 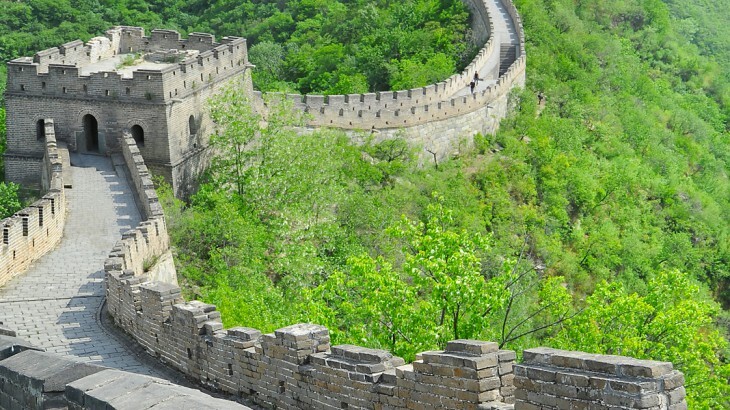 See The Great Wall on a China Holiday with the UK’s leading China Experts, Wendy Wu Tours. Our award winning escorted, fully inclusive tours visit all the major sights of China for an unforgettable holiday. China china in uk, history, top things to see, unesco heritage site. permalink.